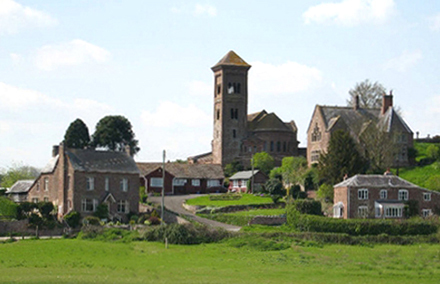 Following the death of her husband Thomas Arthington Bristow, Mary Ann Bristow and her four children moved from Islington to the Herefordhire village of Hoarwithy where her parents William and Mary Ann Hollings lived. They had lived in London and recently retired to the area where their family had always lived. 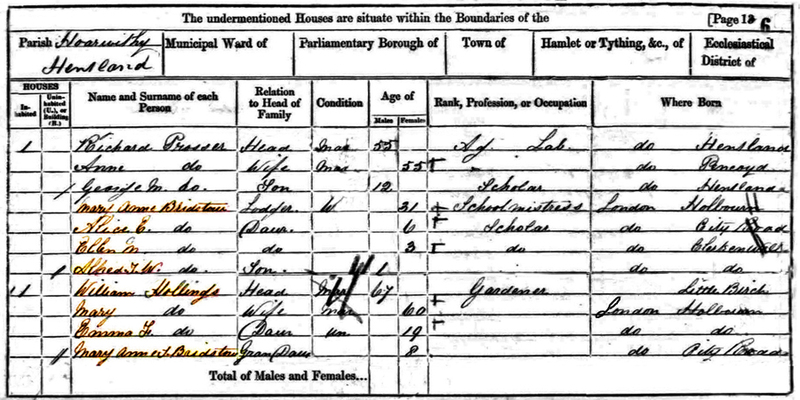 The census for 1861 lists the family in the village. Mary Ann Bristow was employed as the village schoolmistress. The entry shows her children Alice aged 6, Ellen aged 3, and Arthur aged 1. Her parents William and Mary Hollings have Mary Ann Bristow's oldest child who was also named Mary Ann Bristow aged 8 living with them. The Bristows left Hoarwithy following the death of Alfred aged 4 in 1864. Mary Ann's parents had also died by 1867. 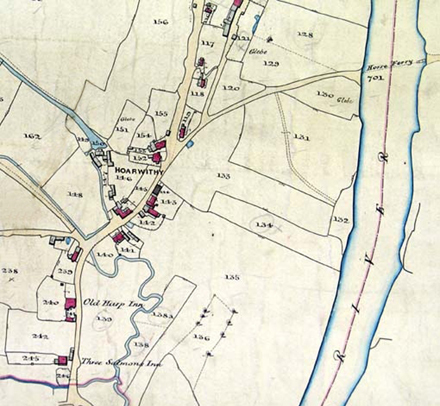 The Tithe Map dates from 1840 just before the church was built the village hasn't changed much over the years and is situated on the banks of the River Wye between Hereford and Ross on Wye. 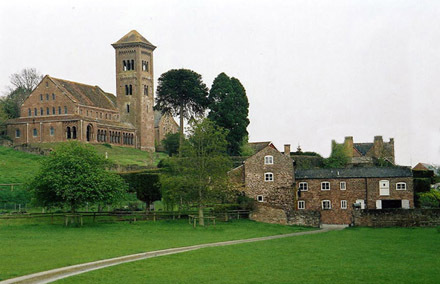 The church pictured below is the 1870s reconstruction.